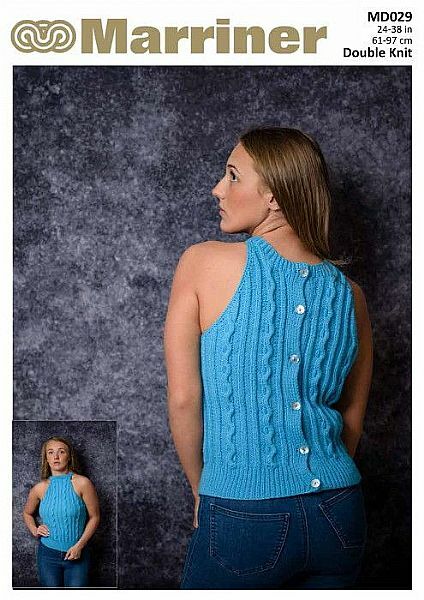 Stand out in this cable knit vest top with a button back in double knit. Hooks required 1 pair size 3¼ mm (No 10) and 1 pair size 4 mm (No 8) Marriner knitting needles or the size of needles to give correct tension. Stitch holders. Cable needle. 6 [6 : 6 : 7 : 7 : 7 : 7 : 7] buttons.